I have suffered from red cheeks since I was a child, although it never really bothered me until I was a teenager and I tried everything under the sun to cover my cheeks up. I’ve probably only recently become aware that I actually suffer from a skin condition called rosacea . ‘Rosacea is a relatively common long-term skin condition which mostly affects the face with episodes of flushing, causing the skin to turn red. In more severe cases, the skin can become thicker and enlarge on or around the nose. There are a number of causes and triggers, some of which can be psychological and others as a result of allergens or exposure to certain environments’. I have one cheek that is a lot worse than the other and there is never really a time where my skin is one tone. Although, exercise, the sun and the cold are all triggers for making my skin a lot redder. Over the years I have tried every green or yellow coloured product to cover it up but it always finds a way to peek through. I thought it was about time I stopped masking the problem and tried to actually treat it. 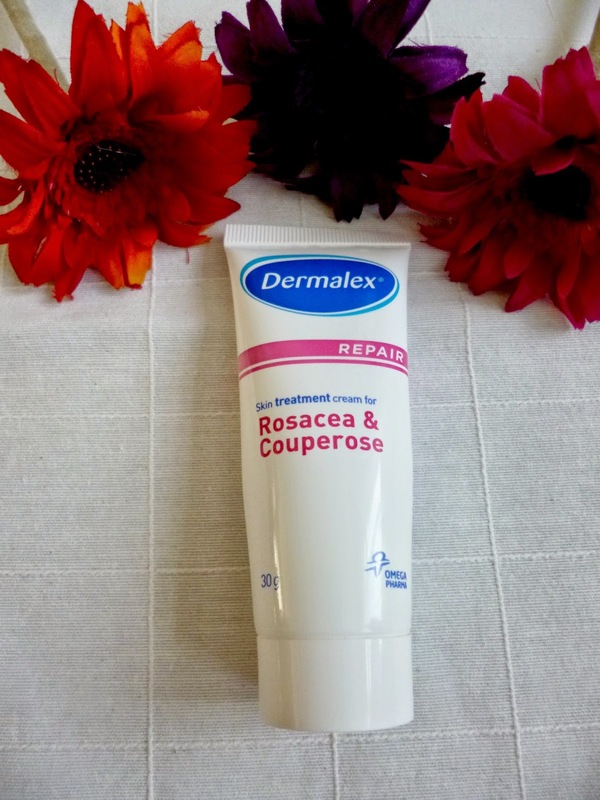 I was kindly sent a sample of the Dermalex Repair skin treatment for rosacea to review and to see in what way it can help with my skin. Dermalex is a well known brand for treating other skin problems such as eczema and psoriasis. 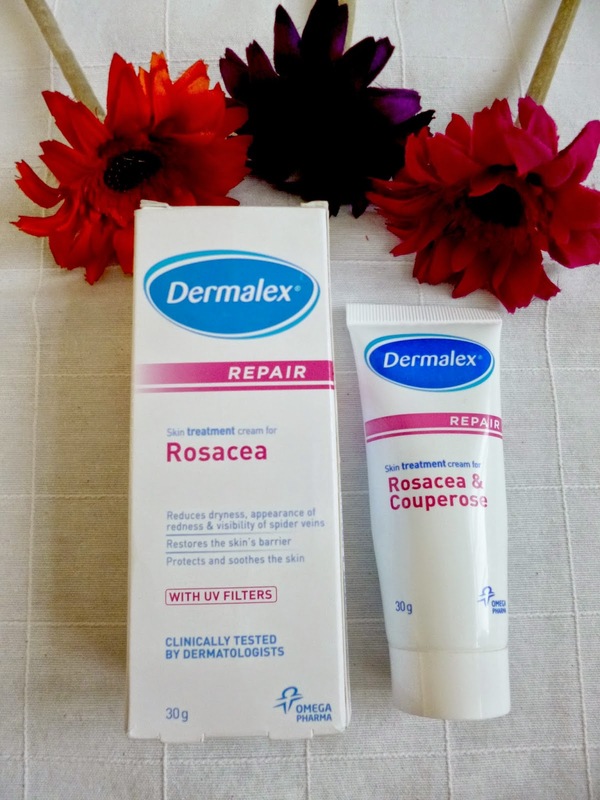 The Dermalex for Rosacea claims to reduce dryness,appearance of redness & visibility of spider veins, to also restore the skins barrier and to protect and soothe the skin. From the packaging it already sounds like my new best friend. 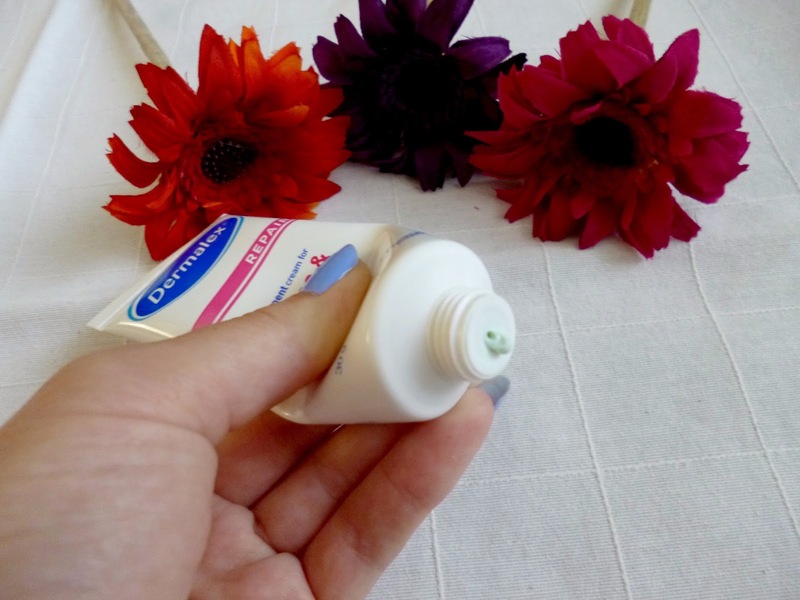 The product itself comes out as a green moisturiser. It’s common knowledge to those with red cheeks that products with green pigments help to reduce and cover the skins redness, although once this is applied you would never tell. First impressions are that the consistency is just right and it is not oily at all. I have been using this product for almost 2 weeks now twice daily. As a moisturiser I really do like using this product as it keeps my skin nourished without making my skin any more oily, especially a bonus in this heat that we are experiencing at the moment. Unfortunately, I cant say that this product has helped my rosacea in any way, but it has not made it any worse. My skin still appears as red as it was previously and it has not helped to reduce the visibility of the tiny spider veins that I do have. I really was expecting great things from this product after seeing that ‘95% of Patients tested noticed a substantial reduction of redness’. However, it doesn’t state how long that these patients trialled the products for. As I mentioned I have only been using this cream for a short period of time and I understand that things like this take a while to work, so I’m staying hopeful that it might help me yet. When you think that the problem lies beneath the skin it isn’t going to be a miraculous skin miracle immediately. I would definitely recommend this for anyone looking for a good facial moisturiser, but for me personally it has not helped the treatment of my rosacea. Every skin is different and reacts in a different way and time scale to products so it might still be worth a try for others with the same condition. Have you heard or used dermalex products before? Do you suffer from Rosacea? If so what products do you use to combat redness?